On St. Patrick's Day you may very well drink to that and anything else too! 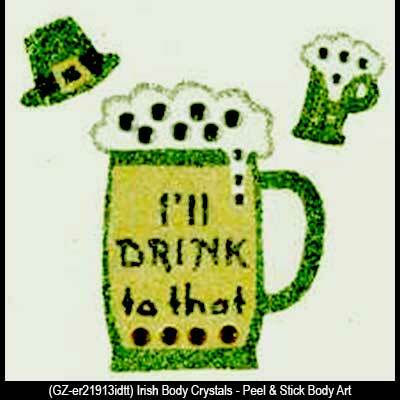 This 3 piece set of peel and stick Irish body art includes two crystal beer mugs and an Irish hat and measures 1 3/4" tall. The Irish body jewelry is superior to a temporary tattoo because it has shimmering crystals.